In treating emotional problems, a person needs to use emotional tools. We simply can’t think our way out of emotional trauma. At the heart of depression are unresolved issues that need to be talked to, listened to, and cared for. Ride a current emotional wound back in time to the first time you remember feeling this way, here lays the core of your problem. Let us show you the tools to address this initial wound with gentleness and care in an attempt to heal out everything similar you have experienced in your life. Depression treatment brings you on an adventure and we are there with you every step of the way. Trauma care is the strength of the Basic Steps Mental Health approach. Our commitment is helping you master this process on paper so you can continue to do so well after treatment is over. 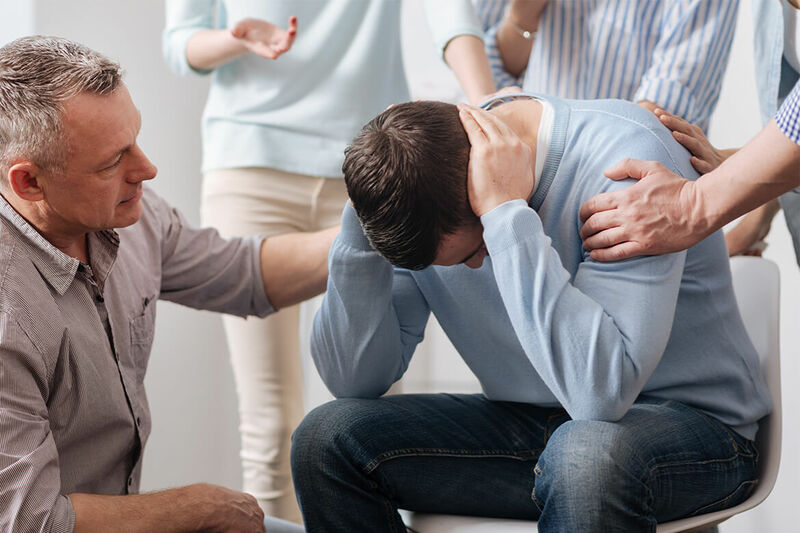 At Basic Steps, our depression treatment helps those suffering from grief, loss, trauma, abuse, loss of purpose, and unresolved issues. Have you ever tried to hold a ball under water? It takes a lot of energy to do so. What does the ball want to do? POP UP! When we push problems down into our subconscious, like water, the mind wants to pop it back up. Since it takes a lot of energy to hold our issues down Depression is the result. Unfortunately, our problems just don’t go away and ignoring them only tends to make matters worse. Now is the time to take back control of your life. Let us show you how.